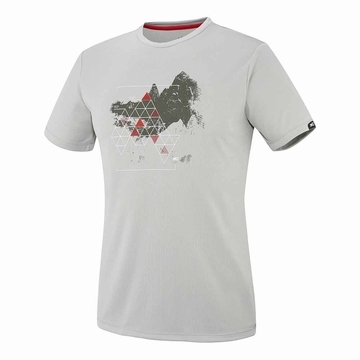 This base-layer tee in POLARTEC POWER GRID LIGHT will hit the spot with mountaineering nuts thanks to its extreme breathability. Graphic and technical, the BACKAROUND TS SS assures optimal wicking through the performance of its lightweight polyester knit, with the inner face structured to rapidly disperse sweat outwards. It is quick drying, and the POLYGIENE treatment inhibits bacterial build-up. Comfort is served sustainably with an eco-friendly, reliable commitment - for mountain disciplines and daily wear.